Motorists in China’s Anhui province were confronted with an unusual driving condition after a motorway was covered in fish following an accident. According to reports, the driver of the truck lost control in wet conditions after becoming distracted by a phone call. 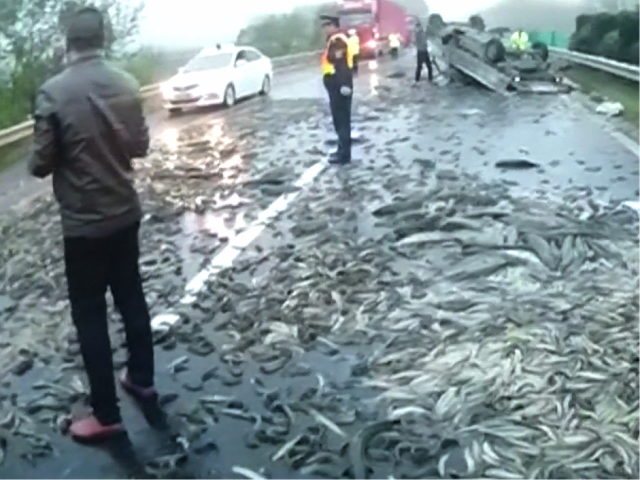 The truck overturned and spilled 1.5 tonnes of live fish onto the Jingtai Expressway. The fish that were on the way to Bengbu from Hefei managed to block metres of the highway after they spilled from the overturned vehicle, and required the local traffic police to redirect traffic. Police organised local volunteers to help clear the mess and apparently traffic returned to normal after a couple of hours. No humans were hurt in the accident but a large number of fish met an untimely demise. And we bet loads of locals had a nice free fish supper as well. 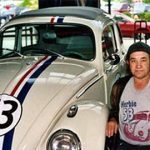 Sultan of Johor gets a Harley-Davidson made of Solid Wood!